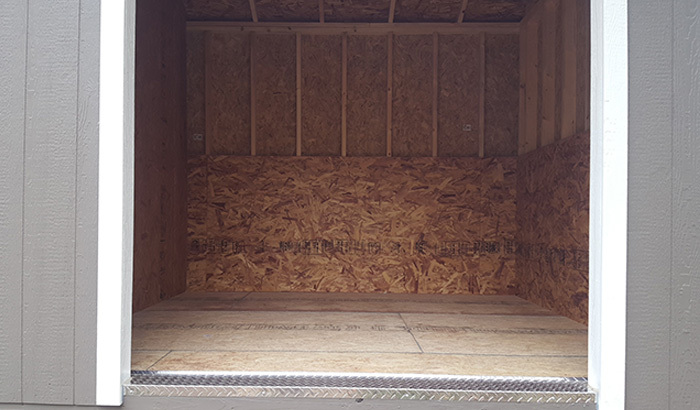 We are happy to announce our newest design-the Portable Multi Storage Unit. 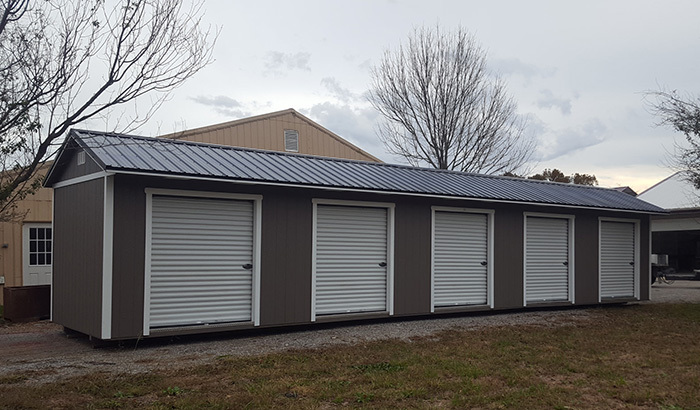 This new design is available in different sizes but the one we have in stock is a 10x50, with 5 individual 10x10 storage areas , each with a 6x7 roll up door. Each unit is lined with OSB. We have installed 8x16 vents in the eaves for ventilation, ensuring proper air flow. We also offer an upgrade package which would include lights, heat & ac if needed to protect valuables such as personal photos, musical instruments, furniture, electronics and clothing. Come by our lot in Cumberland Furnace and take a tour of this country cabin. 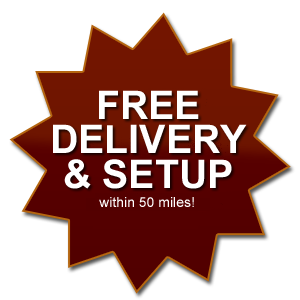 We offer free delivery and set up within 50 miles of our shop in Dickson, TN 37051.